This is a summary of the meeting minutes that are distributed by email. Details are omitted for privacy since the page is publicly viewable. Essentially, this page is where we make announcements for items other than calendar events. Reviewed budget, popcorn projections, calendar, fees status, and upcoming plans. Next pack activity is Columbus Day weekend: Nutfield Camporee at Camp Bell. Dear Pack 610, the Pelham High School Boosters Club would like you to know about a cool family event that is coming to Pelham in two weeks! 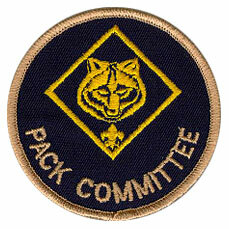 It would be a great Pack event (wear your uniforms and show your scout spirit!!) and can be used for a “Go See It” for your Tiger Cubs!! DONKEY BASKETBALL will be in Pelham on Friday, November 21st at 6:30pm! We are pre-selling tickets ($10/adult, $8/child) up through November 20th. We would love for your Pack to come and cheer on our local firemen, policemen, teachers and students as they ride real live donkeys and play some great basketball at Pelham High School in the gymnasium! Please contact me, Christine Brown (cmb489@comcast.net), if you would like tickets. I can get them to you in bulk – just let me know how many adult and how many children tickets you would like.